The word apple comes from the Old English aeppel. Archaeologists have evidence of people eating apples as far back as 6500 B.C. China produces more apples than any other country. There are more than 7500 varieties of apples grown in the world. About 2500 varieties are grown in the United States. Apples are low in calories; 100 g of fresh fruit slices provide only 50 calories. They are however contain no saturated fats or cholesterol; but rich in dietary fiber which helps prevent absorption of dietary LDL cholesterol in the gut. The dietary fibers also help protect the mucous membrane of the colon from exposure to toxic substances by binding to cancer causing chemicals in the colon. One medium apple contains about 80 calories. Apple skin contains more antioxidants and fiber than the flesh. Apple fruit contains good quantities of vitamin-C and beta carotene. Vitamin C is a powerful natural antioxidant. Consumption of foods rich in vitamin C helps body develop resistance against infectious agents and scavenge harmful, pro-inflammatory free radicals from the body. 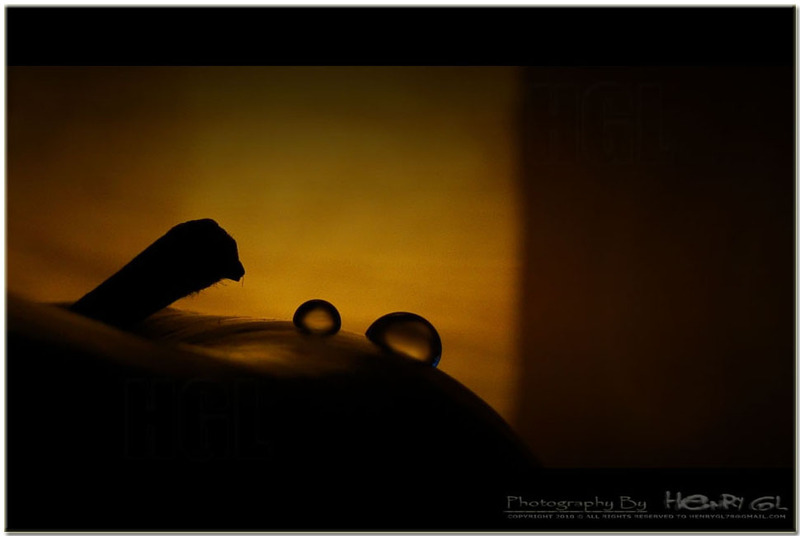 Tags: "Apple", "Droplets", "Facts", "Henry George", "HGL", "Macro", "Photography", "Water"
Absolutely stunning! Love this photo. Great picture! The color of the background turned out really well! Thanks. Now I know a lot more about apples than I did before I read your post. The rainbow was created by the sprinklers tocuhing the sunlight early in the morning. It is not a water falls,it is only a lake in the botanical garden. Good to see your post Henry! You nailed it Dude 🙂 Awesome shot!! I admire & respect mother nature to the fullest. These are my sincere efforts to keep the life moving always in high spirits. My aspirations are simple, be positive & enjoy the best moments. My glitters are just spur-of-the-moment, and definitely want to add a positive reflection and do the best to preserve nature at its best. My photographic productions on https://henrygl.wordpress.com and its content are copyright of Henry George – © HenryGL 2017 All rights reserved. Any reproduction or redistribution of part or all of the contents in any form is strictly prohibited. You may not, except with my express written permission, distribute or commercially exploit the content. Nor may you transmit it in any other website or other form of electronic retrieval system.